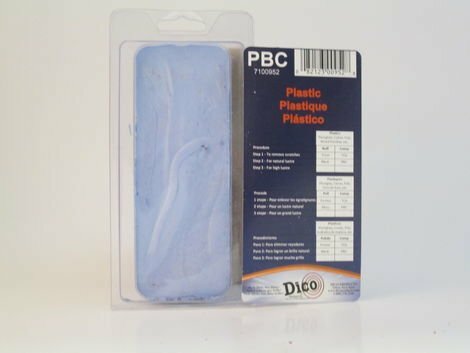 Plastic (PBC)(Blue) Excellent for edge finishing of acrylic sheeting and removing scratches from corian counter tops. Restores a clean finish to solid plastics. Has fast cutting and good coloring action on plastics.